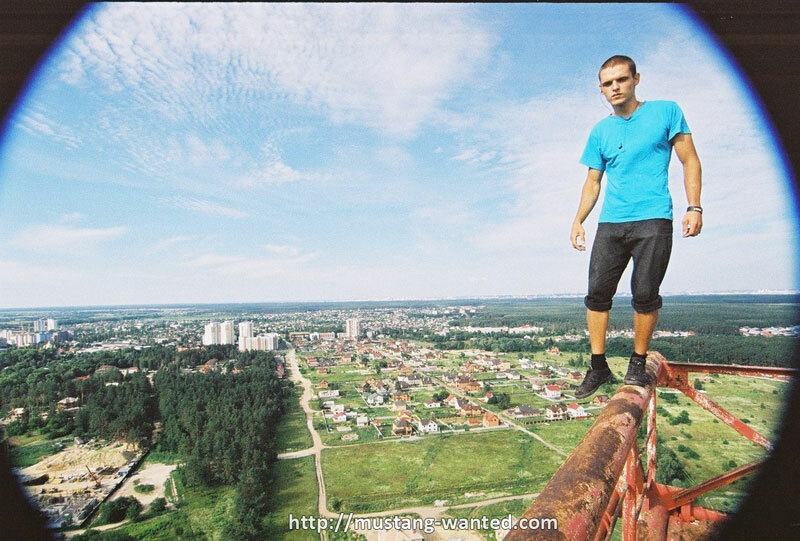 Those who don't have strong heart should probably stop right here. 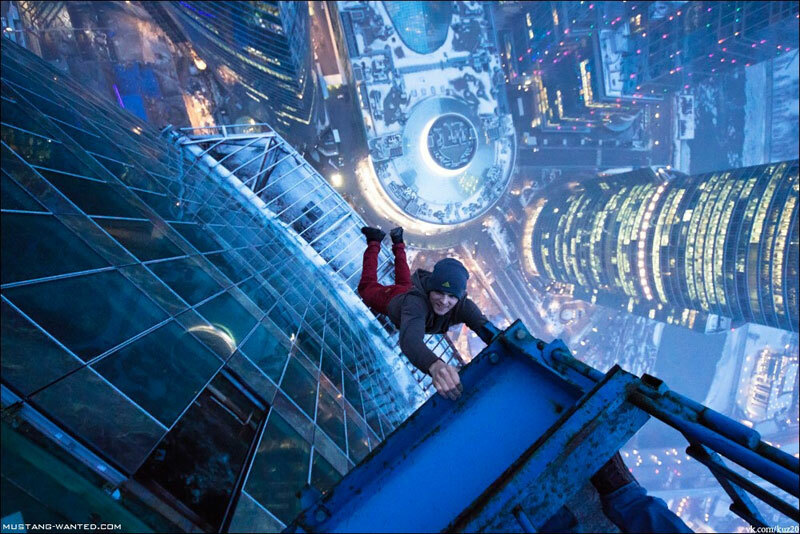 Because we are going to see some extreme climbing now. 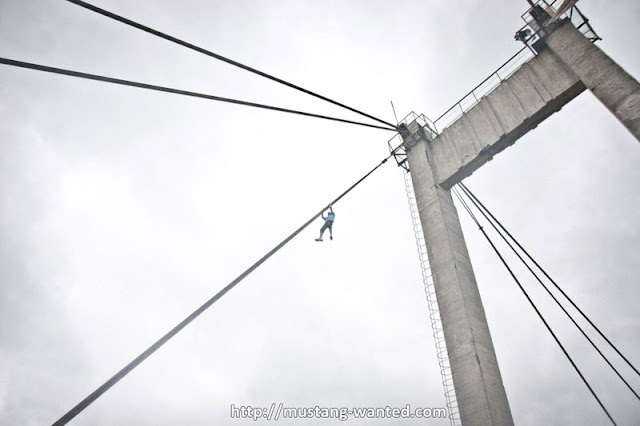 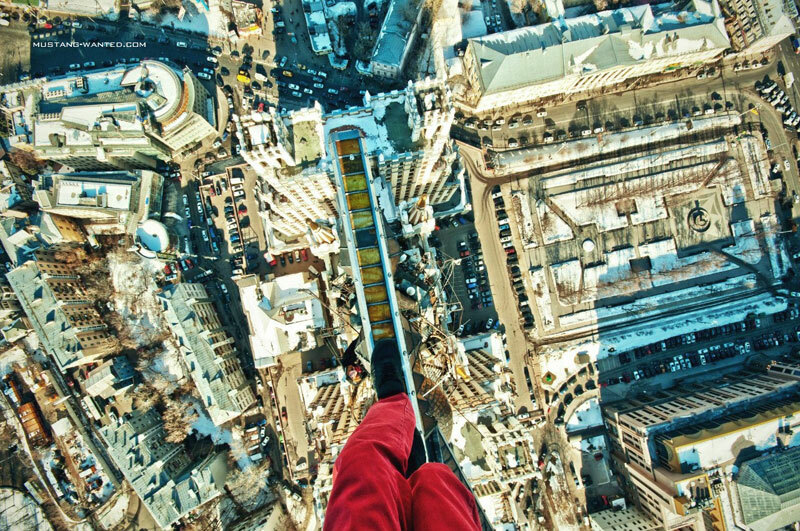 The activity known as skywalking is extremely dangerous and this post is here purely for fun, we don't want to encourage anyone to do it. 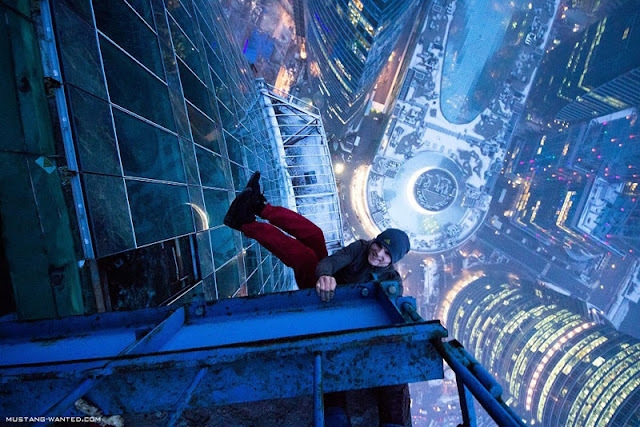 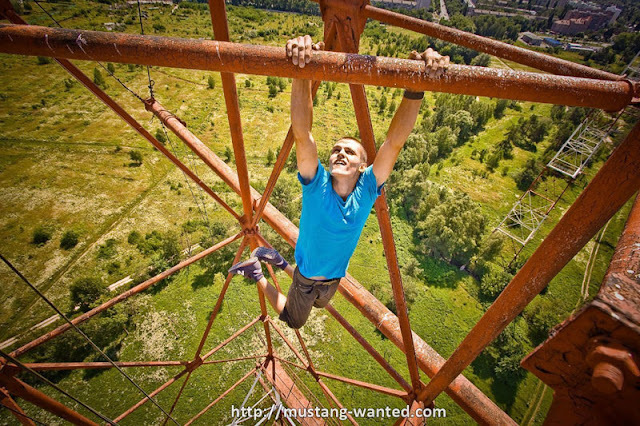 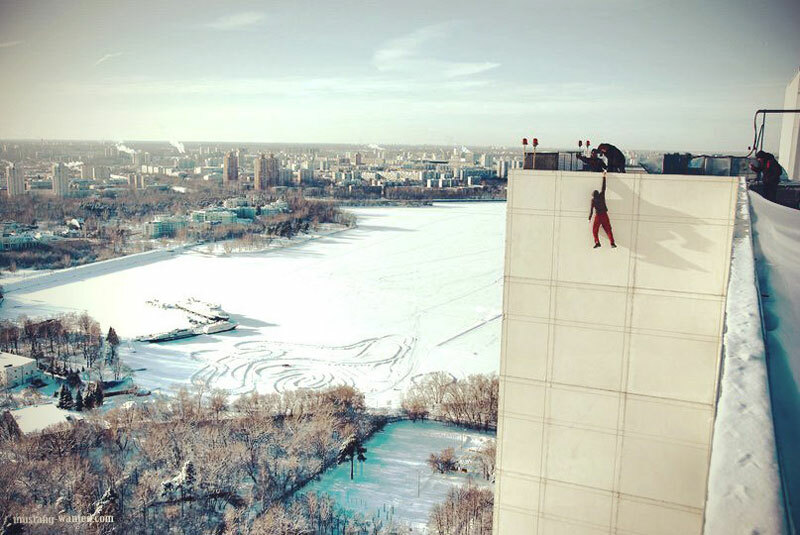 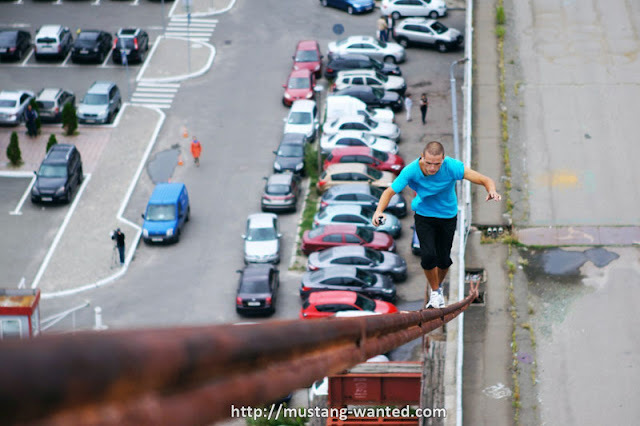 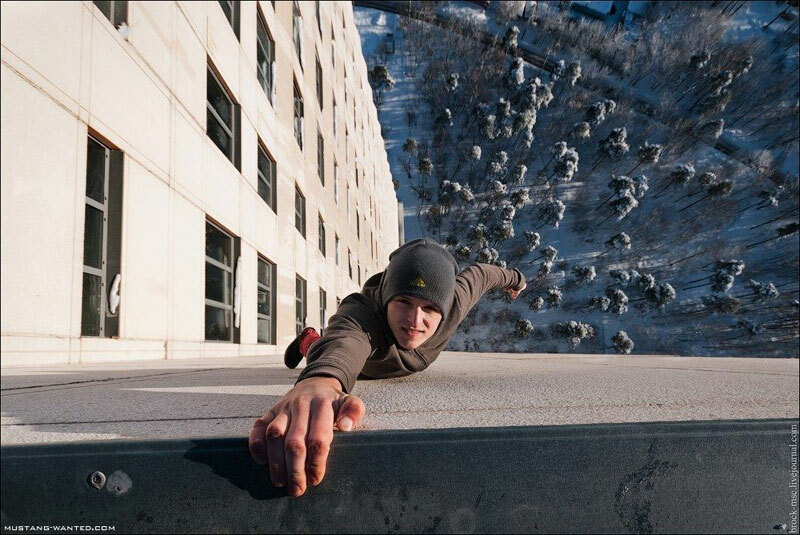 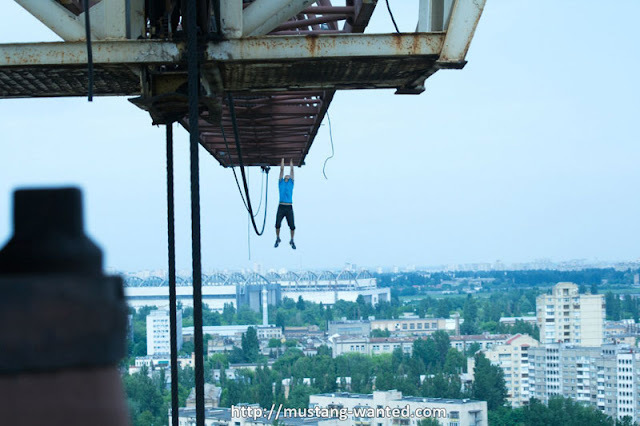 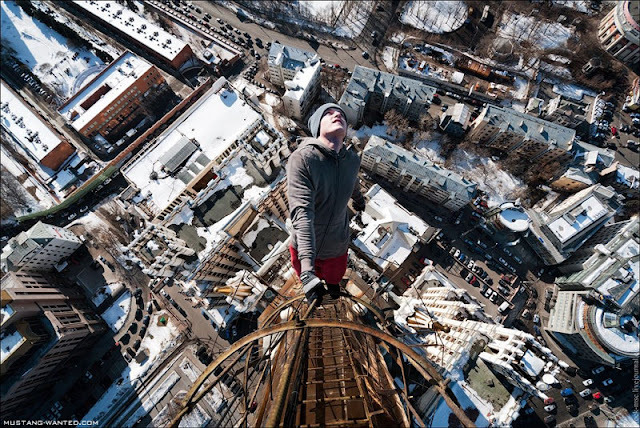 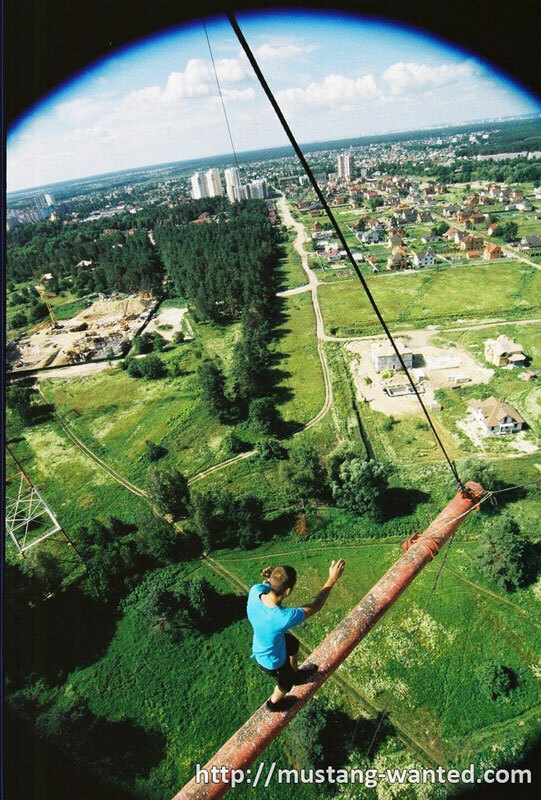 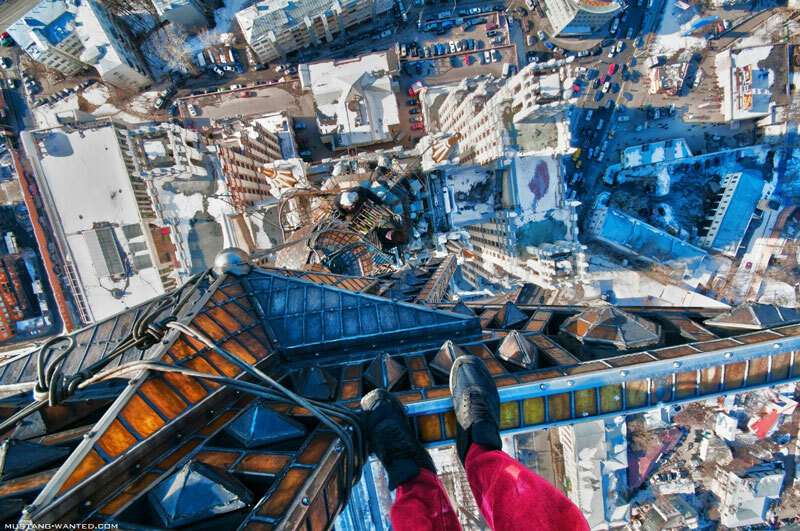 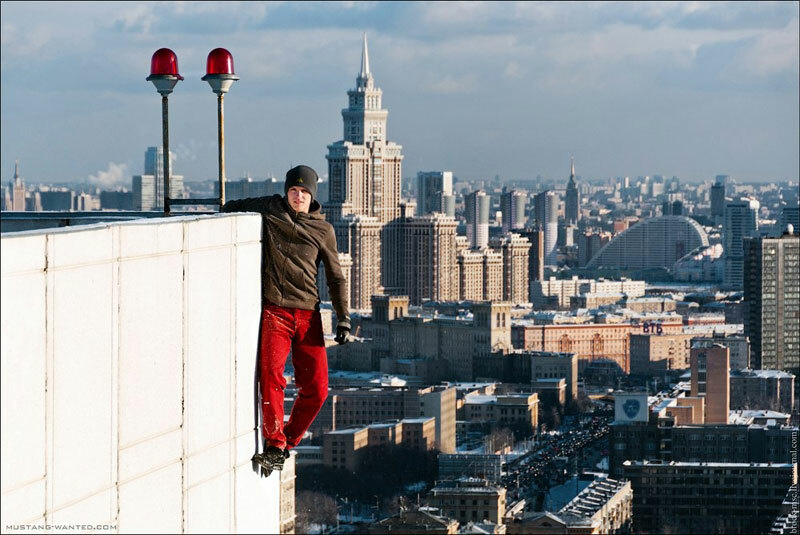 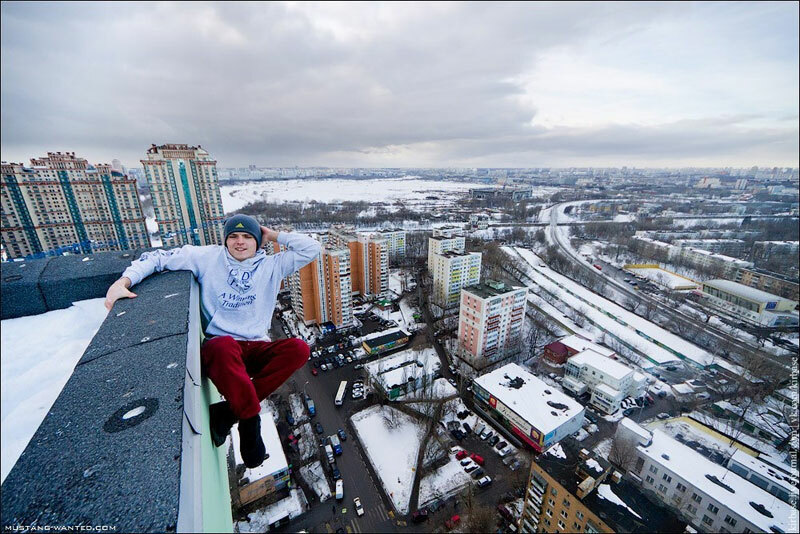 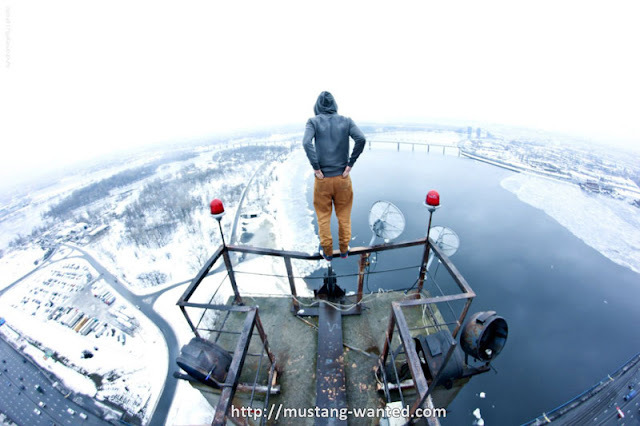 Ukrainian Spiderman who named himself Mustang Wanted took some breathtaking photos and videos of himself free climbing and hanging from Russian skyscrapers and high objects without any safety harnesses or ropes. 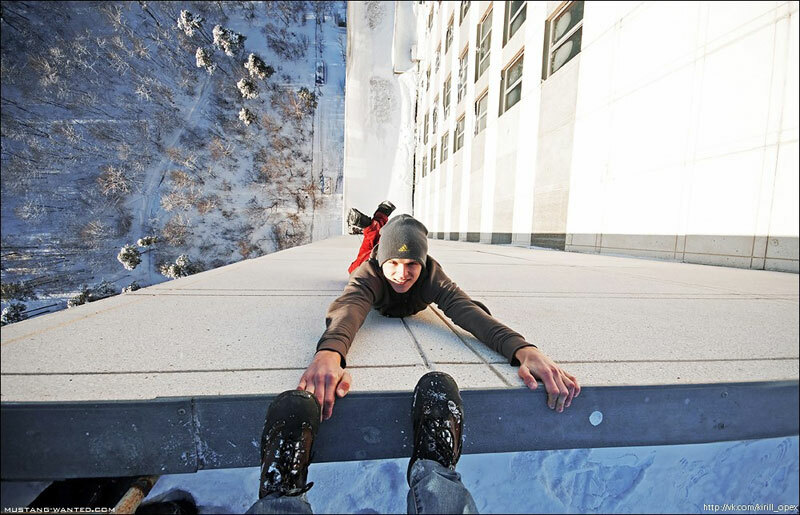 While being extremely dangerous, this activity shows incredible skills and mental strength of this young man. 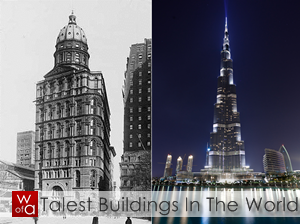 Take a look and feel free to share it.